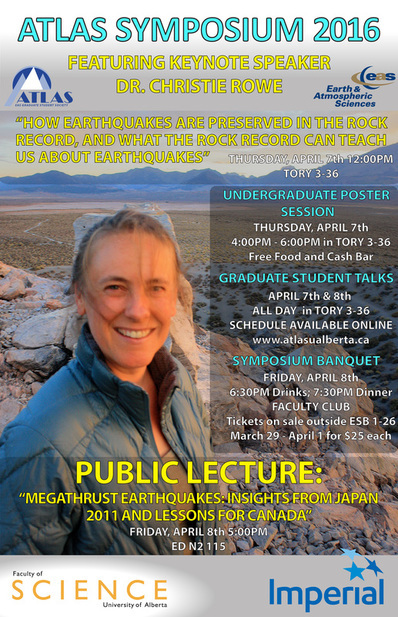 "How earthquakes are preserved in the rock record, and what the rock record can teach us about earthquakes"
"Megathrust earthquakes: Insights from Japan and lessons for Canada"
. : Sedimentary and Petroleum Geology :. 11:00 - Ran Wang: How well can remote sensing detect biodiversity?